Get rid of that big belly that is weighing you down and preventing you from living a normal happy life with The 30 Day Belly Slimming Detox Water. Many people with big belly nowadays lack self-confidence, have low self-esteem and feel unattractive due to the bullies and the looks other people give them in our societies. This is one of the reasons we are here to tell you that having a big belly is not the end of the world and neither is it the end of your life. 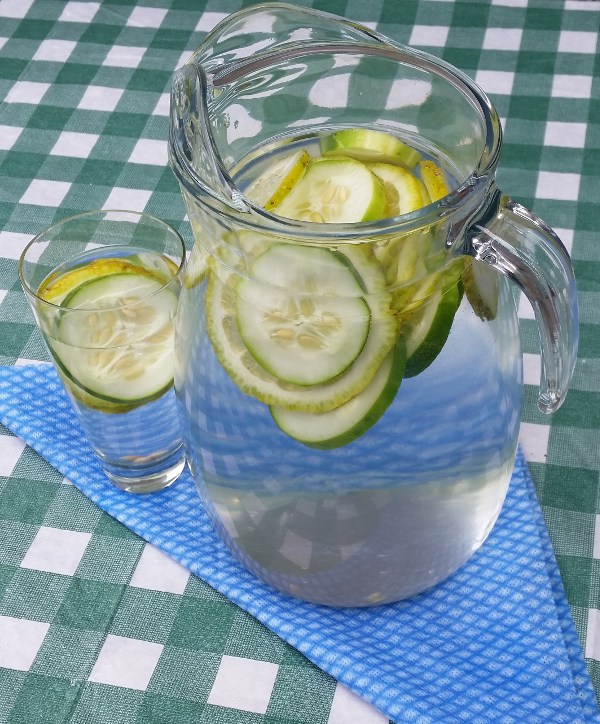 There are many ways to get a slim belly and The 30 belly Slimming Detox Water is one of them. Note: Don't be lazy. Exercising is also very important because it will enable your body to use this detox water to help burn fat and expels or gets rid of waste through the pores of the skin. But, if you lack water and don't exercise, you will not be able to get rid of the waste that built up and clogged up your system and the result will always be a bloated stomach or a big fat belly that most people find unattractive. So make some efforts in exercising while you are drinking The 30 Day Belly Slimming Detox Water. Step 1. 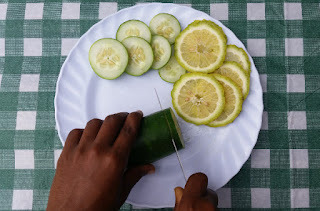 Wash and slice cucumber and lemon into small slices. Step 2. 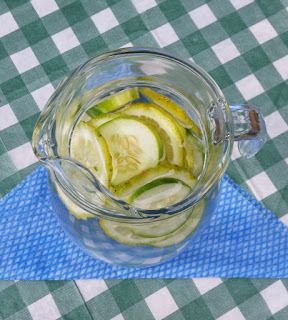 Add sliced cucumber and lemon into a big glass jar and fill it up with water. Step 3. Cover and place it in the refrigerator to sit for at least 3 hours before you start drinking it. Drink this water every day from 6 A.M to 6 P.M for 30 days but don't drink it when you are eating. Wait at least 30 minutes before you start drinking it again after a meal or drink it 30 minutes before you have a meal. Don't drink this water during bedtime hours because frequent urination may cause you to lose your sleep. Note: Replace fruits every 24 hours and refill with fresh water after you have finished drinking it. 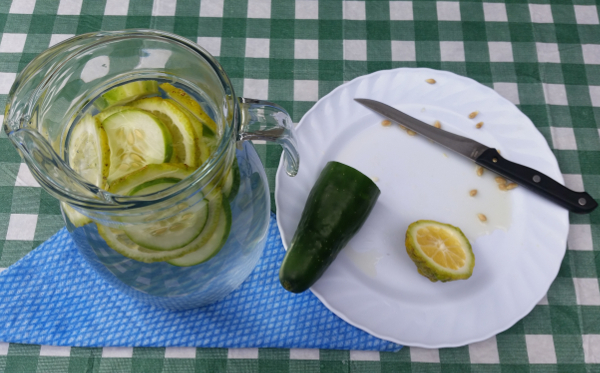 This belly slimming detox water recipe will help you to reduce the bloat in your stomach, flush out waste and burn belly fat. Also, it will help to replenish your body with vitamins and minerals. It will boost your immune system, making it more powerful at fighting off diseases.